Feelings and cookies, cookies and feelings, quite the combination if you ask me! Especially if an alien invades your body called mother nature once a month and then they are a combination that inevitably will go together. You may remember the first time these two met here for a Valentines edition, here is my Easter take on it. Happy that there is only two weeks of school left, I am ready for a change of pace! Loving cat eye sunglasses and summer scarves and the Grey's Anatomy episodes lately. Excited that the fam is coming to visit next week! I have our whole weekend planned down to the minute! I LOVE when my family comes to visit. Annoyed at the people in my class who ask "show off questions". You know "I am familiar with Aristotle's early work and I see that it differs from now, what are your thoughts on that?" Oh get over yourself we can all Wikipedia that line. Nervous that I am going to catch this sad horrible flu my poor husband has..Chugging Emergen-C as we speak! There is something so tender about seeing your husband sick though, I kind of like the caretaker roll a little bit. Minus the gross parts where I apologetically hand him Lysol and paper towels with my face turned the other way and nose plugged. Sorry! Needing to lay out and bronze this body, I am seriously translucent, hopefully I'll be able to catch some rays in St. George this weekend! Grateful that I still get butterflies when Ben walks in the door, for families and for fresh starts. Hoping that I always live in a place with seasons, I love seasons. Sweet mother of pearl you have to make these cookies! My cousin found the recipe on Our Best Bites a couple years ago and if these cookies had a page on facebook, we would all be "fans". They are so delicious, combine two of the greatest inventions ever-cookies and mini eggs and are so festive and cute! I know there are a lot of recipes floating around out there for mini egg cookies on Pinty, but this one has been tried and tested and approved. Holy bananas, friend, these look am.az.ing. these look so good i might cry over my bagel right now. also, i know exactly those people you are talking about when they "show off their questions". i always want to scream SHUT UP! These cookies look DELICIOUS! 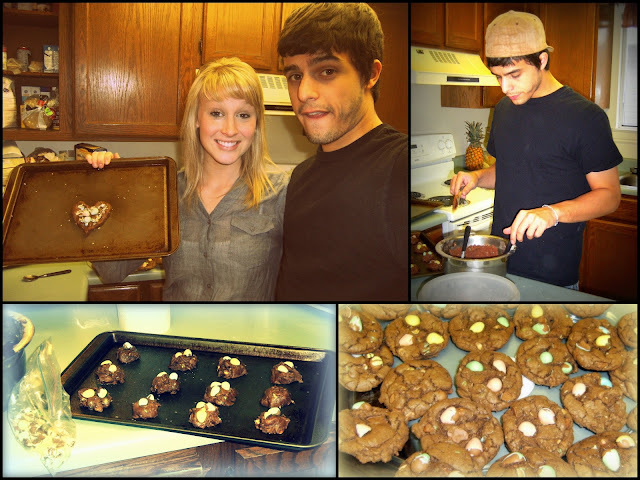 :] And I totally know the feelings/cookie combo! Although I haven't had that once a month thing in a few months because of pregnancy the hormones are possibly crazier ALL. THE. TIME! It's weird. Haha. love cat eye sunglasses! it's been a while since i've seen grey's anatomy. miss all the drama surrounding Meredith!! oh, and what are those mini egg cookies??!?!?! heavenly! We love these cookies so much. 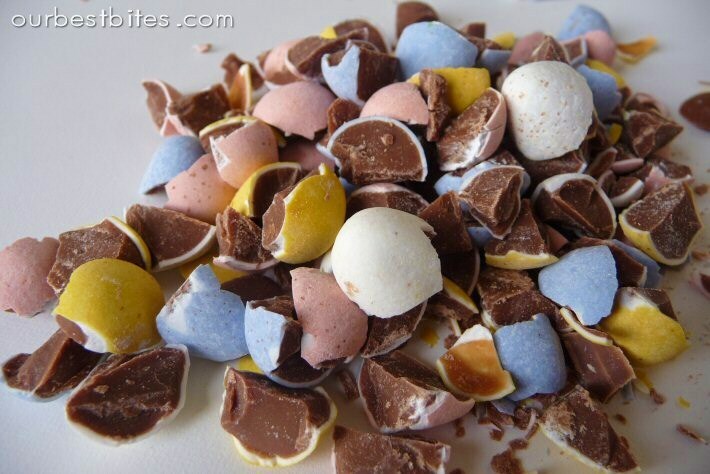 I have already made 3 batches this year and have plans to make them at least 2 more times and I am also planning on stocking up on mini eggs so I can have them outside of the Easter season. I also am, as always, loving your blog, it is so entertaining and informative. YUM! I am totally making these TOMORROW, ha ha! Nope, nope I'm not! I can't find the recipe... HELP! Cassie!! these cookies are to die for.... I might have to break my eating rules to try them out!...but they are chocolate and thats always an exception to the rules..right? P.s. I am tagging you in a Q&A post tomorrow morning! So make sure to check it out!! OH MY!!! I think a tear just fell from my eye. Cadbury eggs in cookies... YES! Waaa such a good idea! I love these brand of chocolate eggs the most and I bet this is just delectable!